Whether it snows or not, winter is COLD!!! You don't need Snow to need Winter Tires - Winter tires not only dig through snow but also remain flexible below 7 degrees Celsius or 45 degrees Fahrenheit thanks to specialized compounds. 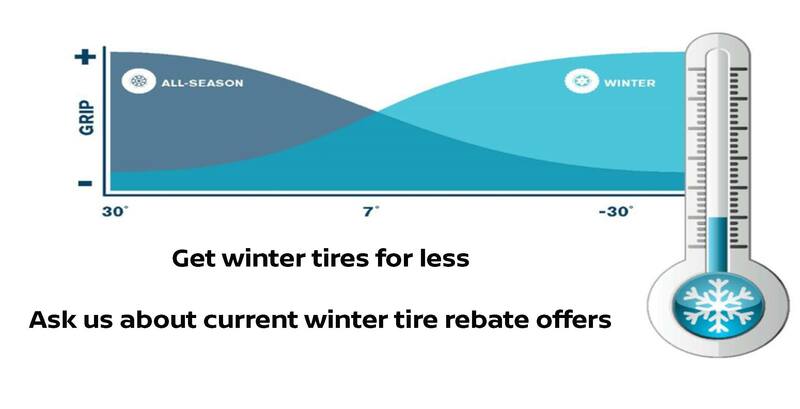 All-season tires harden in cold weather and lose some grip. So even on dry roads, winter tires help make your winter commute easier and safer. Don't leave autumn without them! Send me exclusive offers and promotions. View DisclaimerBy submitting your email address or phone number, you allow us, Scarborough Nissan, to include you on our contact lists to send you information about our products, services and promotions. You may revoke consent at any time by clicking on the "Unsubscribe" link in your email.